Use a shielded power cable to connect the variable frequency drive to the motor. Use a built-in or external EMI filter. Use twisted control wiring leads to provide a balanced capacitive coupling. Use shielded cable to return the noise current flowing in the shield back to the source, instead of through the signal leads. Maintain at least 8-inch separation between control & power wires in open air, conduit, or cable trays. Use a common-mode choke wound with multiple turns of both signal & shield. Inherent in all motor cables is line-to-line & line-to ground capacitance. The longer the cable, the greater is this capacitance. Electrical spikes occur on the outputs of PWM VFDs due to currents charging the cable capacitances (how to select VFD cables?). 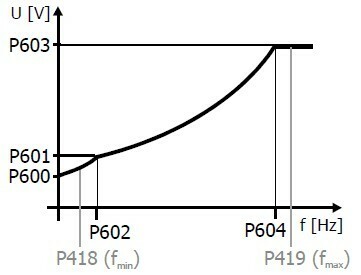 Higher voltages, such as 460 VAC, along with higher capacitances, result in larger current spikes. These spikes can shorten the lives of inverters & motors. For this reason cable length must be limited to that recommended by the manufacturer.